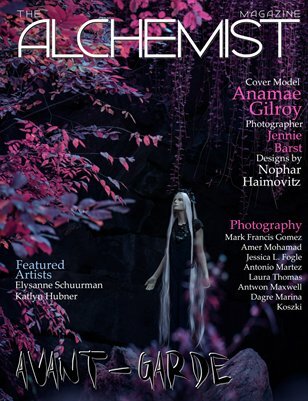 The AVANT-GARDE Issue featuring cover model Anamae Gilroy photographed by Jennie Barst with designs by Nophar Haimovitz. Photographers: Amer Mohamad, Antonio Martez, Antwon Maxwell, Dagre Marina, Jessica L. Fogle, Koszki, Laura Thomas, and Mark Francis Gomez. Featured Artists: Elysanne Schuurman and Katlyn Hubner.